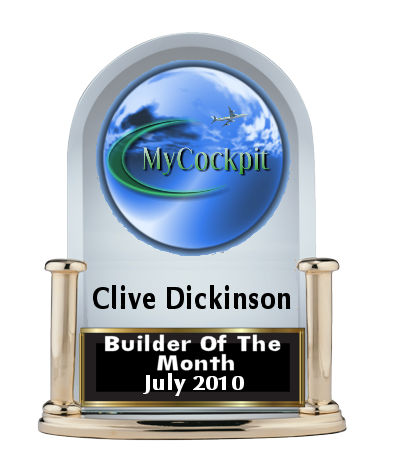 Welcome to Builder of the month award which we are delighted to present to Clive. His dedication to simbuilding and his desire to succeed has been encouragement for many including myself. Clive has built an excellent B737 flight simulator in just a few months but the results and detail he has put in to such a project has been huge. 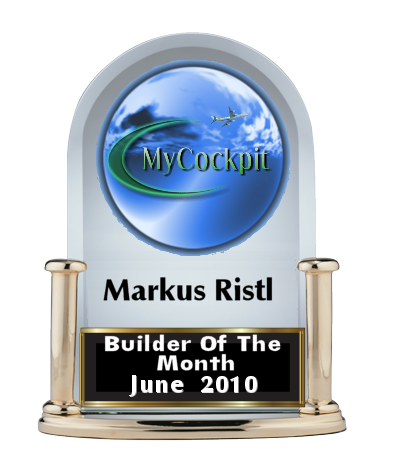 We would like to take this opportunity to speak to Clive to see hows he's done it..
We are happy to present the Builder of the Month for June 2010, " Markus (markusr)" for his excellent work on Boeing 737 flight simulator. His work is something which will inspire most of the new cockpit builder. During the course of this written interview , Markus has shared with us in depth about his flight simulator and also a few tips and tricks which would be useful. Welcome to Builder of The Month award for May 2010, this month we are delighted to present the award to Martijn Heeroma (flatlandpilot) Martijn has a very interested build, and this month we're looking at the airbus. We have been watching the progress on this one for a while and couldn't wait to know more about what Martijn was up to and what was next for his build. Many of you will be familiar with the throttle quadrant he is currently building for his flight simulator. Catch more from Geremy's Interview. We are happy to present the Builder of the Month for April 2010, "Steve Masters (Steve1970)" for his excellent work on generic light aircraft flight simulator. His work is something which any cockpit builder and more specifically GA builders can aspire. During the course of this written interview and podcast, Steve has shared with us in depth about his flight simulator and also a few tips and tricks which would be useful. It's time again and with privilege to welcome another new Builder of Month. 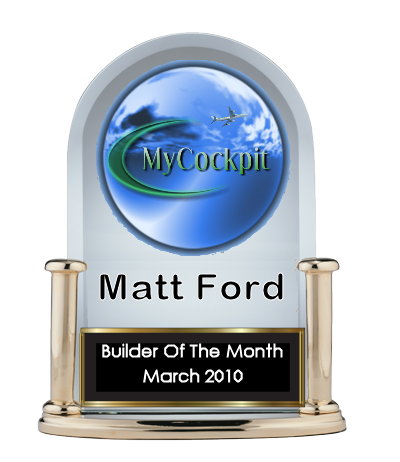 This month we present to you a builder who has inspired many Flight Simulator Enthusiasts and is one of the early pioneers and a forefront leader in our community of builders Matt Ford. Click on "Read More" for the full interview. We are now ready to welcome another new Builder of Month. 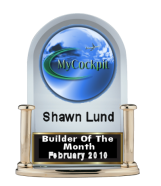 This month we bring to you another creator of an unique project as our builder of month Shawn Lund, someone who has chosen something different, since he is not exactly a home cockpit builder but I am sure we can draw a lot of inspiration from his approach. Happy New Year Friends. It is a new year and we have a new Builder of the Month. This month we have a unique builder of month The Learsim-Team, someone who has chosen somthing besides Airbus and Boeing. Interesting!